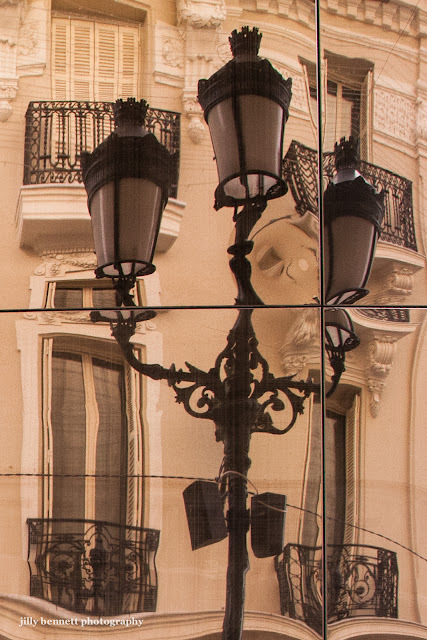 Even in in their drunken state these beautiful lamps, reflected in a window, look beautiful. And below the lamps? Are they loudspeakers or surveillance cameras?